Tilt-shift is a very popular technique to capture photos of great scenes and create an impression of them being miniature or to have a single place of the scene in focus while the other parts of the same photo is totally out of focus. In this tutorial I will show you how to achieve the first goal, making a photo of something big appear very small. I will use Photoshop Elements 8 but this will also work in older version as well as in CS. 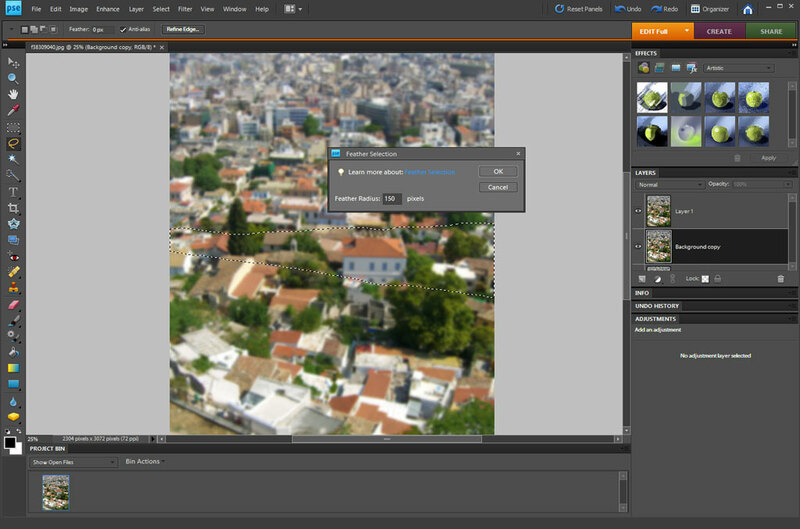 Update: There is an updated guide for Photoshop CC too! 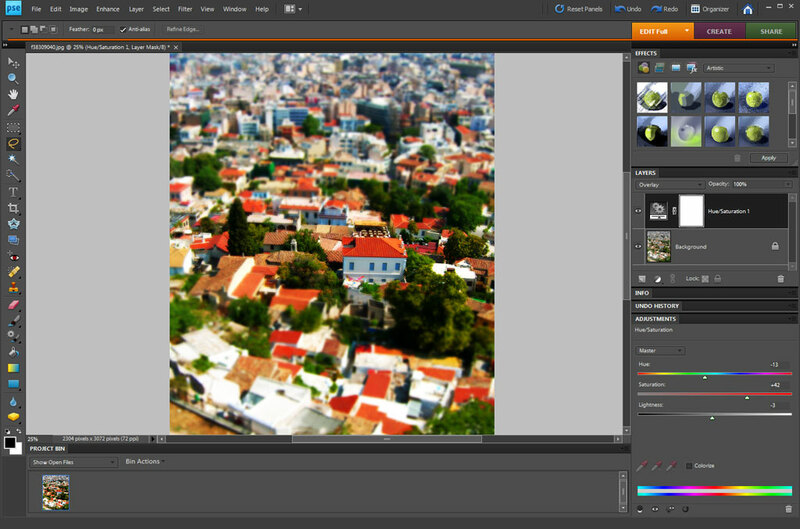 Duplicate the ‘Background’-layer by pressing ctrl + j (or cmd + j on mac). 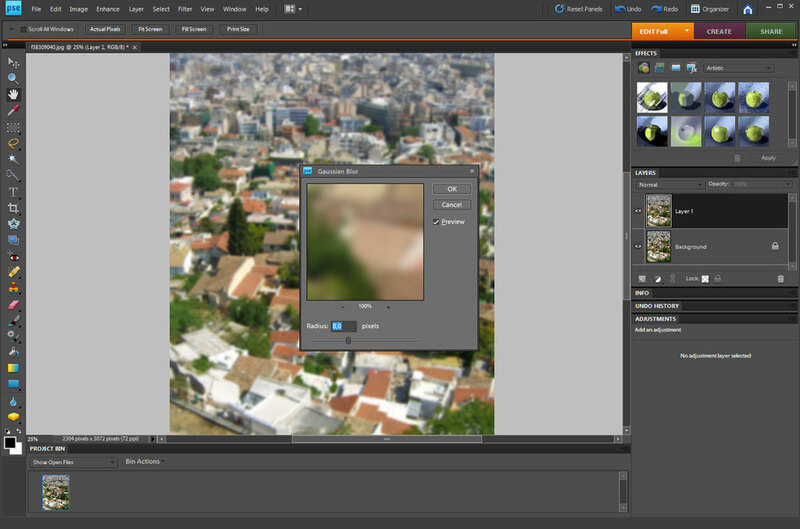 Apply blur on this newly created layer by selecting it in ‘Layers’ and then go to Filter -> Blur -> Gaussian Blur. A value of about 8 should do. 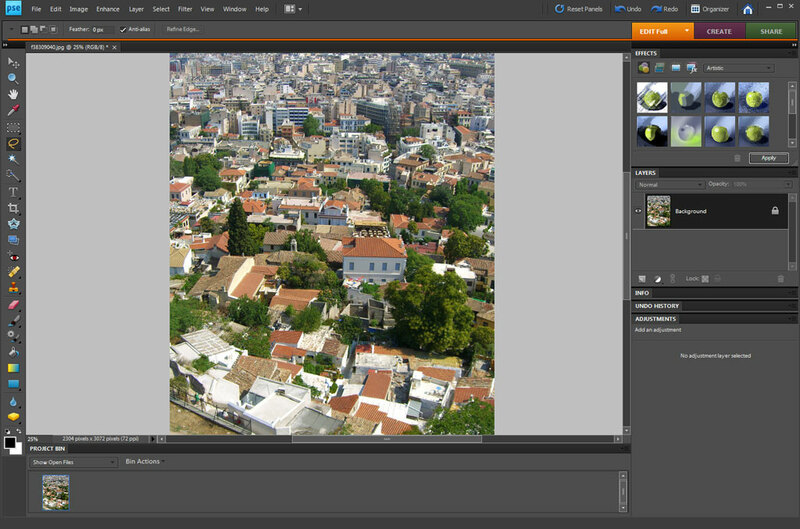 Duplicate the ‘Background’-layer onve more by selecting it in ‘Layers’ and by pressing ctrl + j. In this newly created layer, make a selection using the Lasso-tool (the Lasso-tool can be selected by pressing ‘L’) of the area which you want to be in focus. Choose Select -> ‘Feather’ and your selection. A value of about 150 will do. Create a new layer using your selection by pressing ctrl + j again. Move the newly created layer to the top of the layers and the effect is achieved! To further create the impression of a miniature photo you can flatten the layers and then create a new adjustment-layer where you increase the saturation to make it more synthetic looking. Now you know how to simulate the tilt-shift! When I blur the Copied Layer, the “Background” or original image, gets blurred too! Is anyone else having this problem? I am so confused! This is an excellent and simple tutorial on how to create this type of effect. I tried it and the result was just perfect!